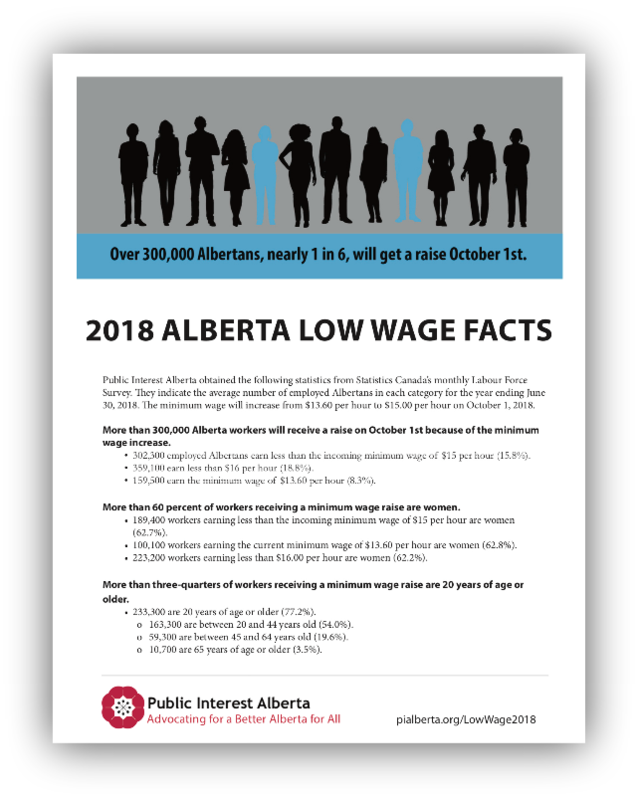 Public Interest Alberta obtained the following information from Statistics Canada’s monthly Labour Force Survey. It indicates the average number of employed Albertans in each category for the year ending June 30, 2018. The total number of employed Albertans in this period was 1,913,200. The minimum wage will increase from $13.60 per hour to $15.00 per hour on October 1, 2018.